I have been making this Peppermint Bark for many years. It was my moms absolute favorite. Every Christmas she would call me and ask when I was going to make up a batch. I am a huge peppermint fan. 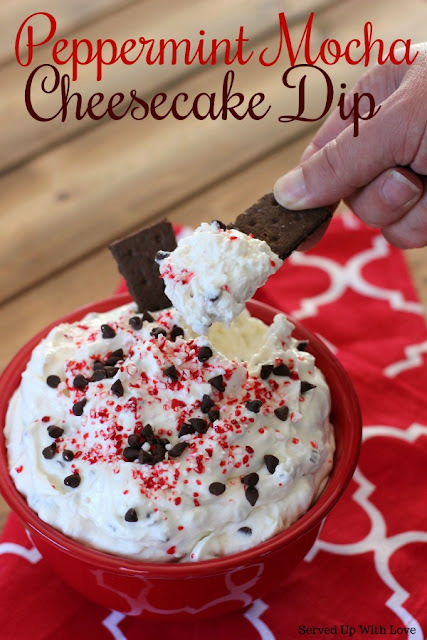 When fall starts winding down and all the pumpkin spice recipes start to fade away I know its time for my holiday favorites. I've made this several different ways over the years. Each time is just as easy as the next. The same idea exists for how you make it. Melt some white almond bark and add the peppermint flavoring. 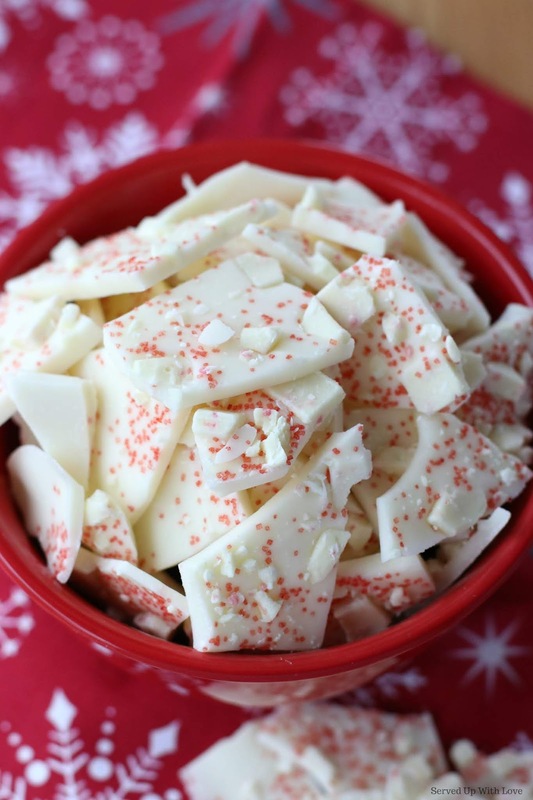 The flavoring can come from peppermint extract, mint chips, or crushed up candy canes. 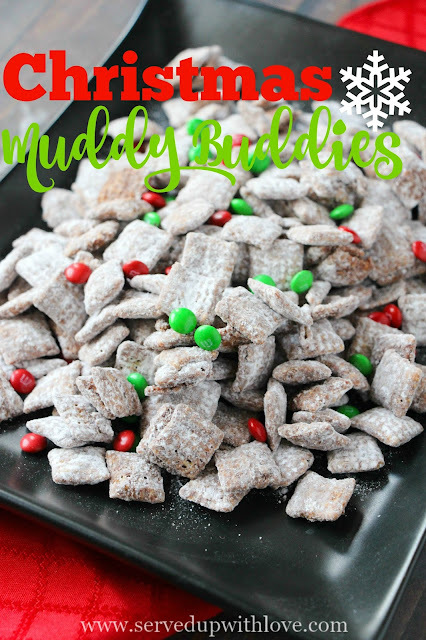 It is a super easy treat to whip up when you need a quick gift for a teacher or that unexpected guest. It makes a super cute gift packaged in a small mason jar with a pretty ribbon or in a cellophane gift bag. Homemade gifts sure do make the best gifts. 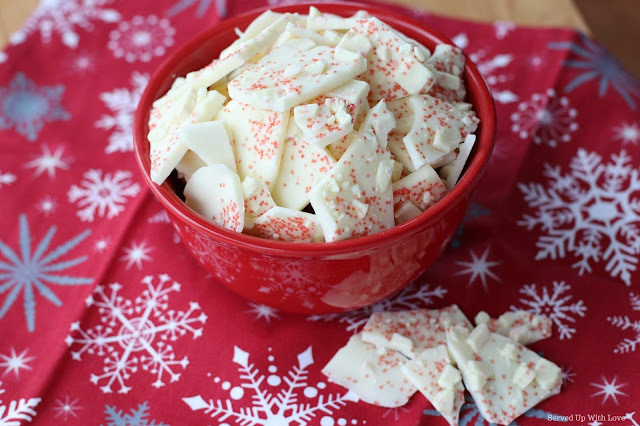 A fun and festive holiday candy bark that rivals any that you buy in the store. 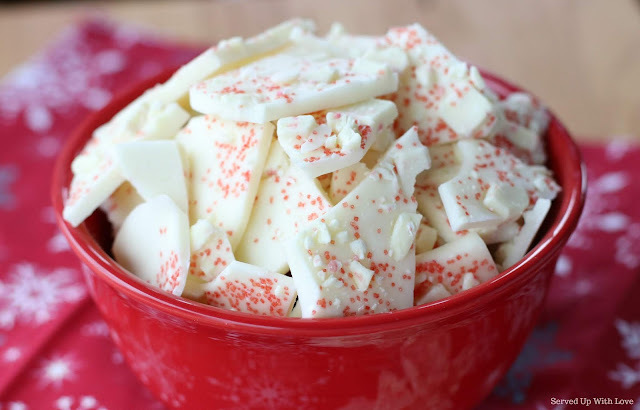 Melt the almond bark according to package directions in the microwave. Careful not to overcook. Spread the melted almond bark onto a wax paper lined sheet pan into an even layer. 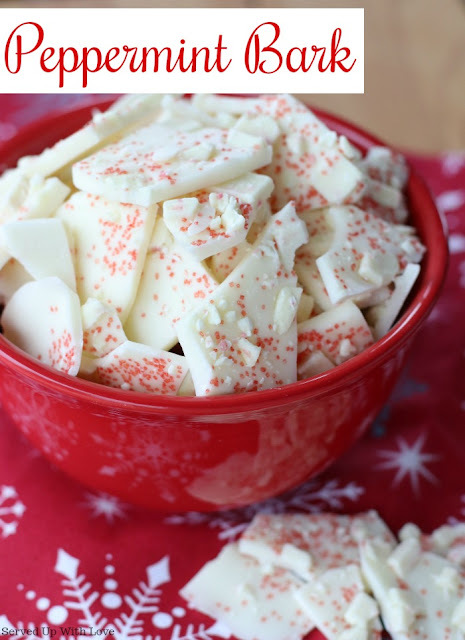 Sprinkle on the peppermint chips or candy cane pieces. Set aside and allow to harden. (can be placed in the freezer to speed up the process.) Break into bite size pieces and enjoy.